Meet La Aldea Hostel and its cultural life! We recommend you: I Keu Ken. A hostel with a philosophy similar to ours; with all the goodness of the beautiful Patagonian region! Hostel Álamo has been prizewinner Best Hostel in May 2008 by Hostelbookers and TOP RATED in Sudamérica en May 2008 by hostelworld! Ramón y Perla and the whole staff wait for you!!! If you go to Ushuaia this is your place: Patagonia País, Ushuaia Tierra del Fuego Argentina. In Rosario we recommend “La Comunidad”, also Top Rated en Hostelworld, and recommended by Lonely Planet! Nice hostel where you can enjoy the warmth of the staff and Fernando’s BBQ! We recommend Greenhouse, in one of the most spectaculars turist destinations in the world! In one of the oldest houses in the town, this quiet hostel expresses the cordiality and charm of this beautiful city. En Hostel Park Iguazú you will find safety, clieanliness, fun and people who will make you feel like home! Relax in this warm house with 8 double rooms with private bath! Enjoy the impressive and singular view of the Montains Fitz Roy and Torre! Wave Hostel is recommended by the Lonely Planet guide and run by authentic independent travellers who have visited more than 20 countries. They know how to make you feel well! Fatima is a place for multicultural encounters. It is a house that is more than 150 years old, With its beautiful colonial architecture it's a place where you can feel how the families of the nineteenth century used to live. 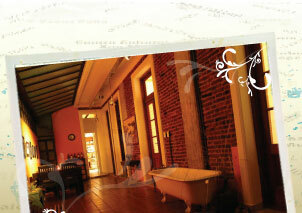 Hostal Fátima combines great decor in a setting that makes the house friendly and unforgettable. Casa Yoses provides a laid-back, friendly and fun atmosphere. The hostel is in a great central location, in the most exclusive part of San Jose! The best and more exclusive hostels in the world are members of Minihostels. Minihostels is a philosophy. Little hostels warm, run by its owners themselves, taking care about details, like Rayuela. Visit this web and find there your next hostel! 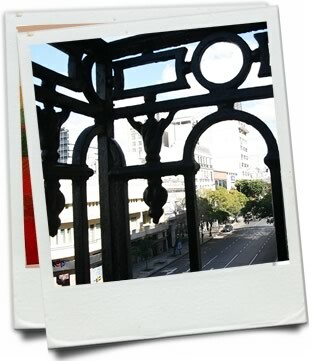 Most complete web to find a hostel in Buenos Aires. If you’re a traveller, if you are planning to travel around the world don’t forget visiting this web! Rayuela has a compromise with the sustainable development and invites you to get involved.